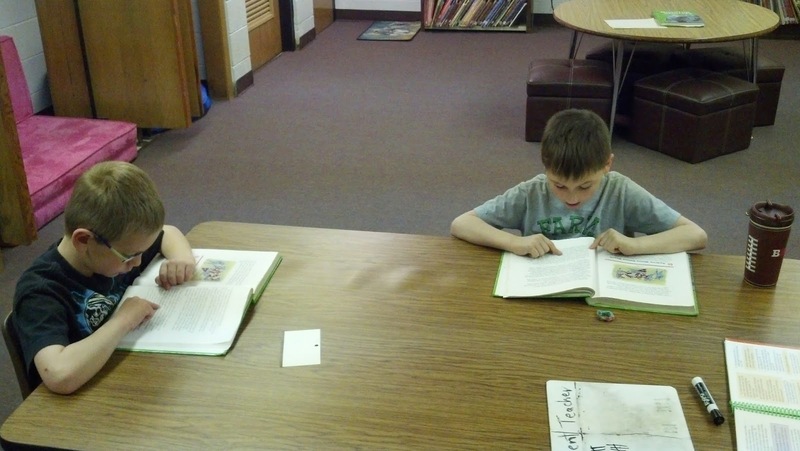 Pictured are a couple of Mr. Jackson Krejci's Reading Mastery students Tyler Due and Josh Meyer working hard on their independent reading. The group's focus this semester has been two finger tracking while following along as they take turns reading. After the group reads together they then read independently. The last thing they do to check for understanding is complete their independent work which includes answering questions from their story.